Meitu, the folks behind that infamous beauty app, are rolling out an official Sailor Moon phone and selfie stick. 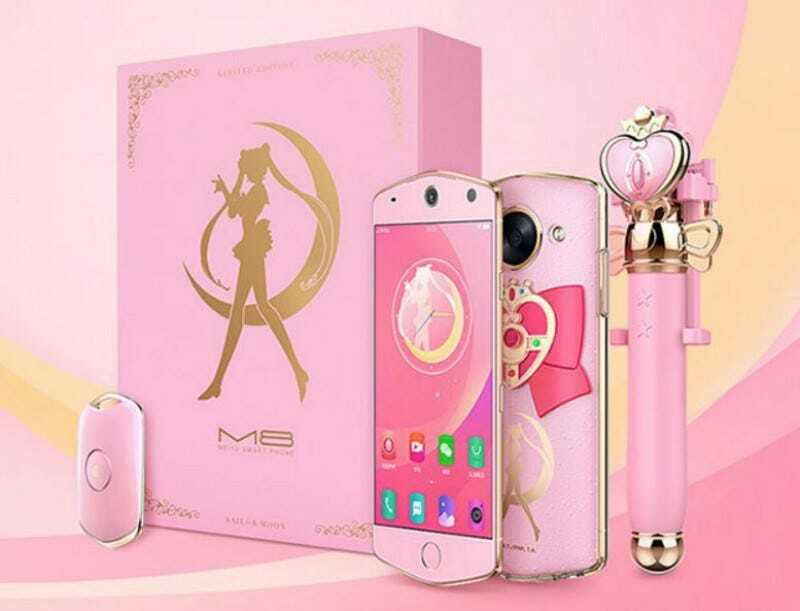 The Sailor Moon branded M8 phone also comes with a pink remote control to take selfies, Fashion Snap reports. The phone costs around the equivalent of US$430 and is limited to10,000 units. No word on whether or not the phone will right wrongs or triumph over evil.